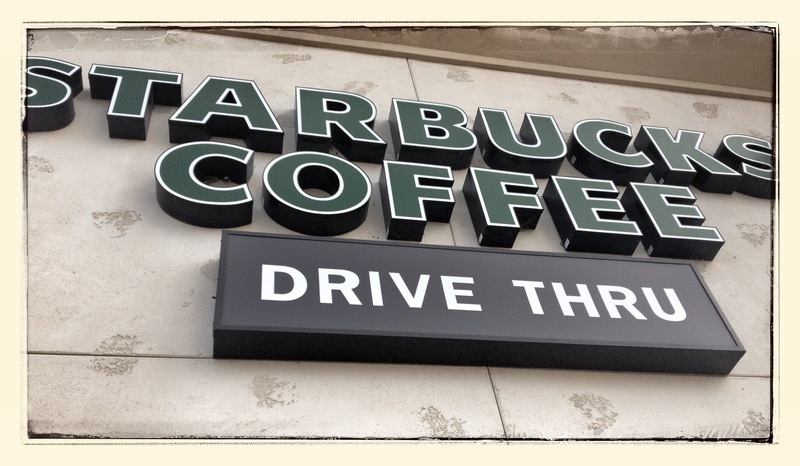 The last few weeks there has been an inspiring trend occurring at our local Starbucks drive thru. I don't know how it started but I'd heard about it - paying for the order of the car behind you. 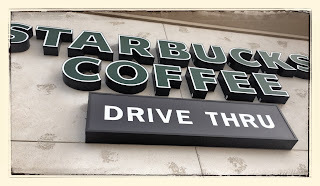 A friend of mine posted on Facebook about doing it a few weeks ago but I had no idea it had turned in to a bit of a phenomenon at our local Starbucks until last night I asked my husband to grab me a green tea latté on his way home from errands and the car in front of him paid for the drink. Today I went back through the drive thru and after a car pulled in behind me, I noticed the military personnel sticker on the windshield (we have a VERY high active duty and retired military presence in our city), so I grabbed my chance and paid for both of their drinks. The Starbucks employee didn't even question it, he said it's been frequently happening! Love it! I don't want to see this one end this season! Angry Birds Cupcakes - Easy to do! 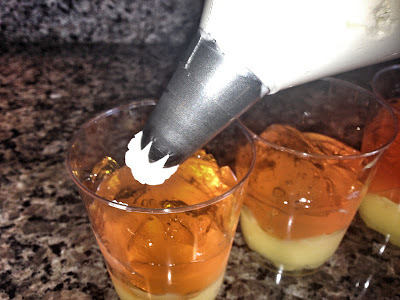 Do you ever have one of those times when your child comes to you all sweetly and innocently asking you to whip up a batch of something fabulous for a last minute school party? Yep, that was me earlier this week. My oldest is obsessed (might be a slight understatement) with Angry Birds and when he asked so nicely for me to make a bunch of Angry Birds cupcakes for his Leadership Class Holiday party, I knew I had to deliver the *gulp* 36 themed out cupcakes. I scoured Pinterest for ideas and wasn't really finding decorating ideas that looked right too me. I didn't want to do fondant decorations, but had no idea how to create a realistic cupcake that was easy to churn out a ton of. While talking out my ideas with a friend, I had a brilliant idea to use an ice cream scoop to scoop out the round shape of the birds and she added the idea of using yellow fondant to form the beaks. Seemed easy enough. They were SUPER simple to create (any baking novice could do the same because I am by no means a professional). My son's concern was that they look realistic and not be too artistic so the pressure was on to deliver. I used pre-made yellow fondant I had left over from a cake (fondant lasts a long time as long as you keep it tightly sealed) to form the beaks free hand. 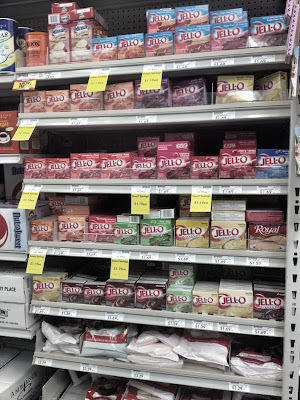 (my son helped) You can also purchase small packs of pre-colored fondant at most craft stores. One of the birds has brown eye brows, so I used brown fondant I also had left over to form the tiny eye brows. I painted the other birds eye brows on with black gel food coloring (super inexpensive at Michael's). I made my own butter cream icing, but honestly you could buy icing and color it to match whatever color you needed. I found the size ice cream scoop that fit on top of the cupcakes and carefully scooped 12 colors of each on to the cupcakes. I stuck each beak in the frosting scoop. I used pre- packaged white frosting to do circles for the eyes and then used black gel food coloring to make a black dot for the pupil in each eye. I also used the same black gel to free hand the eye brows on the remaining "birds". If I had more time I would have piped green icing around each bird to mimic the grassy areas, but I'm still thrilled with how they turned out! By purchasing the professional cupcake boxes at a local cake supply store, these cupcakes were a huge hit and made me look like Super Mom in the eyes of my son. Unjunking your candy with UNREAL chocolates! I have a love/hate relationship with candy, one I've had all my life. I'm allergic to something frequently used to make chocolate but haven't been able to ever figure out what that is. Every time I eat chocolate I am playing Russian Roulette and don't know if it will be one that makes me break out in hives. One pattern I have noticed is the higher the quality - the less I seem to react. When I first heard about UNREAL candy, I suspected this might be a match made in heaven for me. I'd seen them everywhere - CVS, Ralphs, Rite Aid, Michaels, Staples and a bunch of other stores but the skeptic in me prevented me from buying one. I started to hear murmurs from friends about how very different the chocolates tasted. When I had the chance to throw a party to introduce the UNREAL bars to a bunch of friends I was excited but nervous since I hadn't tried them myself. After my first bite I was hooked! The candy tastes so different than regular candy, but different in an wholesome, delicious way! And the best part in my opinion? I don't have an allergic reaction to them! The kids all had a great time running around getting to sample lots of their favorite candy, but unjunked! 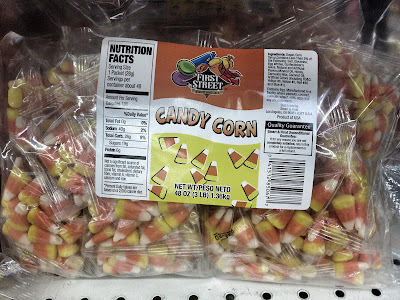 I heard several of the kids commenting that the natural food colors sure make the candy taste better! I took a poll among everyone there and the peanut butter cups were a definite winner, but the candy coated chocolates were also loved. This is one more tool for parents to use in removing the junk from our children's diets! Have you taken the taste test yet? Do you prefer the taste of junk in your candy? Or do you prefer your candy unjunked? Note: This is part of a compensated campaign, but all of the opinions expressed are 100% my own and I absolutely LOVE the UNREAL candy after trying it! I honestly am thinking pretty seriously about buying a bunch and handing it out to trick or treaters! Last weekend we ventured out to the Oceanside Pier. The kids had a great time and we thoroughly enjoyed eating at the Ruby's Diner at the end of the over 1,000 foot pier. On the way back we came upon this fantastic sign and the pelican sitting right next to it. I've decided I need a ceramic sign for my front door saying "Warning: Dog bites stupid people". Let's convince Amy at Beachy Keen Pottery to make one up! Helping You and Your Family Be Healthy! As moms, taking care of everyone else seems to fall before taking care of ourselves. We often wait until it is that bad to do something about a health problem, simply because we didn't have the time to figure out where to start. I can't even count the number of times I have paced in the kitchen late at night wondering if my son's cough, fever or weird rash was something that should wait until the doctor was in the next morning or if it was something that needed emergency attention. I can't even tell you how much I would have appreciated the ability to call a nurse in the middle of the night to diagnose the severity. Consoling an uncomfortable baby at home is much better than waiting for hours at the emergency room as long as you know its something that can wait! The other day I had the chance to sit in on a conference call with Blue Cross Blue Shield (it operates under a number of WellPoint family companies, varying by state). It's one of the largest insurers in the country. I've never felt that our insurance company was truly a partner in health, but after hearing about how Blue Cross Blue Shield is working to help people maintain health, my opinion dramatically changed. Our insurance is Blue Cross and I honestly had no idea we had access to a 24/7 nurse, but the number is right there listed on my insurance card! Having the ability to pick up the phone and ask the advice of a nurse is priceless to me! It's not available for all health plans, but a huge number of plans include it. Blue Cross is also partnering with FitOrbit, which provides personalized personal training to assist people with meal plans, fitness goals and everything in between. There is also a Future Moms program that helps pregnant women at all stages including maternity care and postpartum care. There are ways to sign up through the Blue Cross website to add email reminders for health issues, patient record updates and countless other features. The one thing I really came away with was being beyond impressed with how Blue Cross Blue Shield is shifting the focus to helping people maintain (or achieve) healthy lifestyles instead of waiting until an illness or other issue becomes so severe it can't be ignored. I encourage you to take a few minutes, check out your health insurance website and take advantage of the services being offered to you. If you have a 24/7 nurse line, make a mental note of it. If there are other plan specific programs being offered to you, use them. They are there for a reason, to keep you and your family healthy! Note: This is part of a compensated campaign with TheMotherhood, and is completely coincidental that I am a Blue Cross Blue Shield Subscriber. My opinions are as always completely my own and I can say I am now SUPER proud to be insured by them! Candy Corn Inspired Dessert - Halloween Fun! Halloween is one of our favorite holidays. Unfortunately it's not one I have many family recipes to draw upon so I have gotten creative. This year I went down to our local Smart & Final (I always love going here when I'm creating a new recipe!). 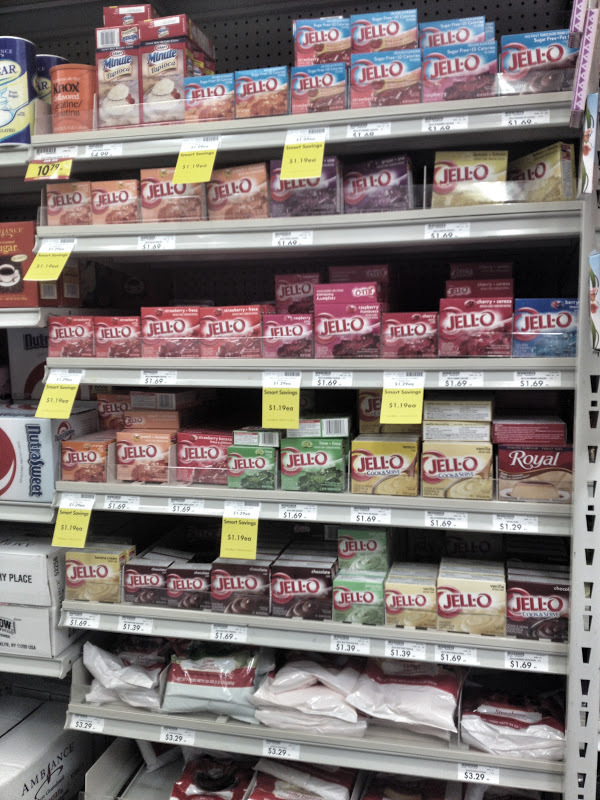 The selection and sizes of cooking and baking items just can't be found at other stores. Candy Corn is a favorite in our house so I got to work on creating a candy corn inspired dessert. Being super easy, quick, and easy to do on a mass scale - it's the perfect dessert for that Halloween Party! Cook the Jello according to the package (note this may need to be done the night before so that it is fully set prior to assembly). Cook the pudding according to the package. Set aside and allow to cool completely. In a mixer, add one cup of heavy whipping cream and 1 tablespoon of sugar. Mix until it has firm peaks. In the serving cups, layer in the vanilla pudding up about 1/4 of the cup. Next add small spoonfuls of the orange jello until the cup is about 3/4 full. Put the whip cream in a pastry bag with a large tip (you can also use a ziploc bag with a small opening cut at the corner). Top the whip cream (as you would top a cupcake) on the orange layer. 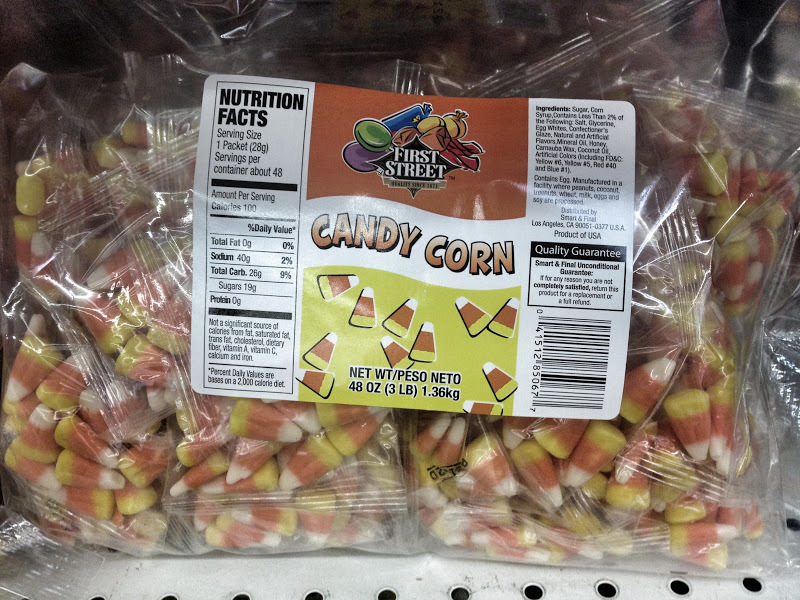 Add candy corns as garnish. Serve and enjoy! I am a member of the Collective Bias™ Social Fabric® Community. This shop has been compensated as part of a social shopper insights study for Collective Bias™ and Smart & Final #CBias #SocialFabric #ChooseSmart The recipe and opinions are as always 100% my own. I've been a fan of Dermalogica for my entire adult life! I have crazy sensitive skin and am very hesitant to many new things on my skin, but have found that there isn't one of their products I am allergic to. Unfortunately as I age, the sun damage from my younger years is catching up with me even though I am diligent about using sunscreen when in the sun now. Recently Dermalogica released a new Multivitamin Power Serum. It enhances cell turnover, reduces hyperpigmentation and ensures a smoother surface appearance without the redness and irritation that many retinol products cause. I've had the chance to test it out for a few days (perfect timing considering the beating my complexion took last week on the Outdoor Ed camping trip!). I can honestly say my skin glows now and love love love the way it makes my skin feel! So... best part? I have a tube to giveaway! Enter to win using the Rafflecopter entry form below. Goodluck! I'll pick a winner on October 30th at 11:59 pm Pacific time. Winner will be drawn using Rafflecopter and I reserve the right to draw another winner if I am not able to get mailing address information in a timely manner. Giveaway is only open to residents of the contiguous US. Please ensure I have a way to contact you to notify you if you have won (leaving a decipherable email address in your comment is a great way). I highly recommend you become a fan of OCMomActivities on Facebook as that is where the winner will be announced first. One of my favorite pictures from our trip to the mountains last week. The clouds were amazing and you felt like you could reach up and touch them! Happy Wednesday! I have one necklace that I without fail get tons of compliments on (click here to see it), so when I got the opportunity to giveaway a festive new piece by Beachy Keen Pottery, I squealed with excitement! All her ceramic pieces are handmade right here in the USA and I can tell you from experience will get lots of compliments! What I love about this piece in particular is it's a great way to be festive, but in an understated way. Just my style. So here's your chance to win the above necklace! Simply use Rafflecopter to comment below saying your favorite piece of jewelry is, are you a bracelet woman, a fabulous necklace wearer, earrings, etc... I will close the giveaway and pick a winner after October 23rd midnight eastern standard time. There are other great ways to enter through Rafflecopter and if you can't wait, you can go ahead an order the above piece on through her Facebook Fanpage here. Orders can be placed through her Etsy Page or her Facebook Fan page. That moment when you see a side to your child that makes you say "My job here is done"
Last week I saw a side to my son that couldn't make me more proud. It was one of those moments as a mom when you cry tears of joy, the realization that your child has something so deep inside of them that you helped them create. That moment when you *almost* feel like saying "my job here is done, if they have learned this one thing, there is very little more important..."
Last week I was a parent chaperone on my oldest son's Outdoor Ed trip to the mountains. We stayed several days and I can honestly say those were some of the most exhausting days I've ever had, but I wouldn't change them for the world. My son is a wonderful, compassionate and smart young boy. He's not my athletic child, but he is my book worm. So when we caught our first glimpse of the giant Alpine Tower the kids would have the chance to climb, I have to admit, I was worried and didn't want to put the expectation on my son that he get to the top. Each child was asked by the counselors (or naturalists as they are referred to) what their goal was, that it didn't matter if their goal was to go up a few steps or go to the top - it was whatever their own goal was. My son clearly stated his goal when his turn was up. "I'm going to the top" he said with confidence that worried me. I knew how daunting the tower was and didn't want him to feel defeated if he couldn't make it to the top, to me it didn't matter how high he went up. Just trying was enough to make this mom proud. As he began his climb, I talked to one of the teachers asking advice because it looked like I would have the chance to try my hand at the tower (along with other chaperones) after the kids finished. I didn't want to try on the same side as my son, in case I was able to go higher. I didn't want him to feel I had beaten him at something. I considered giving up a level or two below where ever he decided to quit. Up he went, slow and steady until a tricky spot (that even the naturalists commented was super tricky to navigate), he struggled and struggled for 10 minutes to get past this one spot. I was a nervous wreck worried that if he quit (which I would have totally understood) that he would feel defeated. But he carried on, painstakingly trying again and again until he got up to the 3/4 way platform, minus a shoe and dripping in sweat. He kept going, I know his muscles were aching. He worked his way up to the rope ladder and slowly worked his way up it. After almost 30 minutes total he had made it to the top. Many kids had quit at varying stages, some had scurried up faster, but none had worked as long as he had and pushed through with such determination to get to the top. I cried like a baby. I couldn't be more proud of his sheer determination to do something so out of his comfort zone. I was up a few after him and I knew that I too had to get to the top of the tower. If he didn't quit, neither could I. Was it easy, absolutely not, but I powered through it knowing he was anxiously watching from below. Later that afternoon I had the chance to pull my son aside and ask him if he thought about quitting, he said "Absolutely not!" I asked him why he didn't even think about quitting and without skipping a beat he said "There was a little voice in my head that kept saying over and over - Don't quit! It was annoying sometimes, but I listened anyway because I knew it was right. So I just didn't quit." With that I knew I had managed to instill a trait so powerful in my son, one that if he learns nothing else from me I'll be ok with it. Perseverance. He can and will do anything he puts his mind too, no matter how much of a challenge. I'm enlarging and printing a photo of him being lowered down from the top of the tower and if he ever tells me he can't do something, I'll point to the picture and say "If you want to, you will".